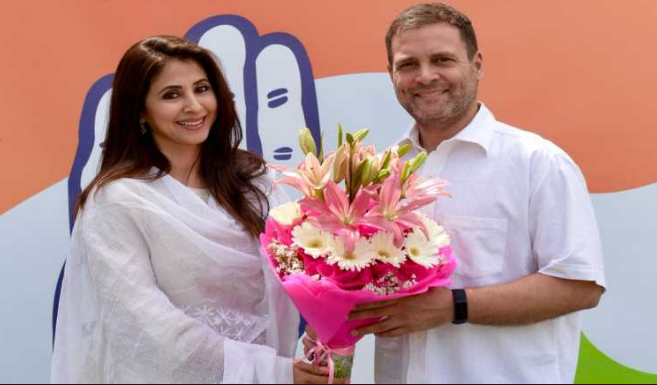 Mumbai: Urmila Matondkar, the star of 90s hit Hindi films like "Rangeela", "Daud" and "Judaai", is contesting the Lok Sabha election but says she isn't approaching politics as a star and would rather be known as people's representative. She is fighting against BJP's Gopal Shetty, a seasoned politician who has called Urmila naive and zero in politics. But the actor isn't affected.